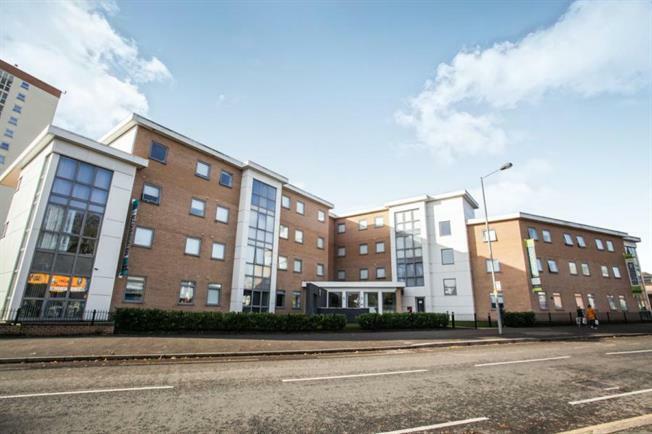 1 Bedroom Ground Floor Flat For Sale in Luton for £65,000. This unique opportunity has come available to cash buyers only to purchase this purpose built studio located in London park house. Built in September 2014 offering a superb location close to Luton town centre and within a short stroll to the University of Bedfordshire this could well be the investment that you are looking for. Within this high standard studio there is a kitchenette, private bathroom, office desk and space for a large single bed. Within the complex there is a full time accommodation management and maintenance team, private gym and large entertainment area.